So, despite the bad experience last time, I decided to give Egosoft a pre-purchase of mine for X4. Anyone else jump the gun or do you want to wait until I report of it crashing and burning (or not)? 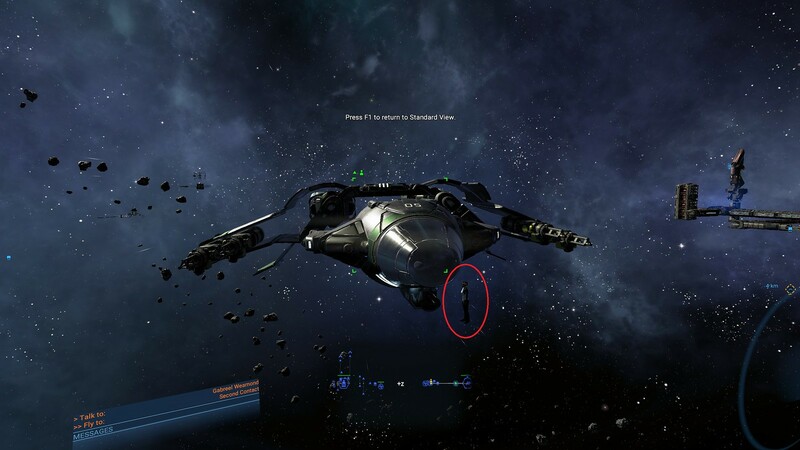 X4 will allow you to fly all ships personally. 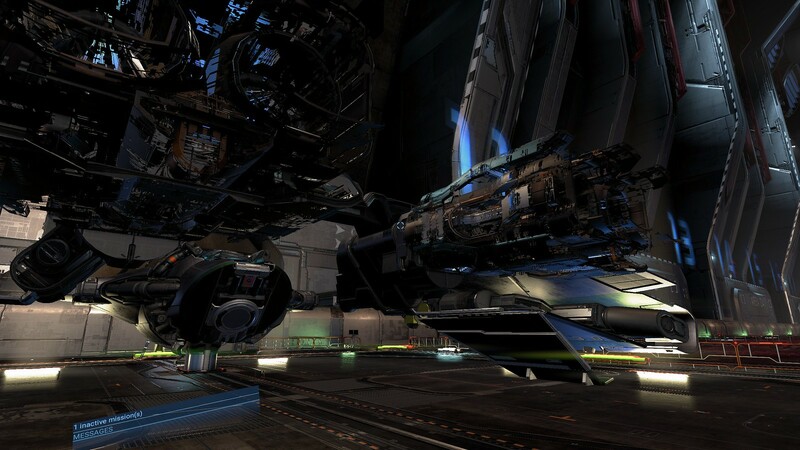 From small scouts over a wide range of ship classes up to the biggest carrier, everything can be piloted from the cockpit or an external view. A big focus in the development of X4 has been to achieve a seamless and immersive experience when moving between ships. You can leave a ship, climb down a ladder, walk over the dock of a large space station into another ship you may have parked there and replace the pilot that was working for you just by clicking on his chair. Building space stations and factories has always been a foundation of the X games. After gaining enough money through fighting or trading, most players want to establish their own economy and start influencing the universe on a larger scale. In X4, it is now possible to be completely free and creative. Stations can be constructed from a variety of modules, be it production modules, living sections, docks or many other types of parts. The powerful new map system allows you to drag and connect modules using a connection system to design your own unique creations. Ships also offer a variety of upgrades. Engines, weapons and other equipment can be added in a graphical editor and actually seen on the ship. X4 will be the first X game to allow our races and factions to freely build and expand their empires; the same flexibility the player enjoys in creatively designing space stations from modular building blocks is also available to them. Races expand their empire based on supply and demand, which leads to an extremely dynamic universe where every action the player makes can influence the course of the entire universe. Has all the ingredients of what made X games great in the past, on the surface at least. Won't pre-purchase and will wait for extensive feedback though, after the disappointment of X3. It's actually the original French billion, which is bi-million, which is a million to the power of 2. We adopted the word, and then they changed it, presumably as revenge for Crecy and Agincourt, and then the treasonous Americans adopted the new French usage and spread it all over the world. And now we have to use it. And that's Why I'm Voting Leave. Ah yep rebirth. X3 was the good one. I'll probably hold off playing it until closer to Christmas. I expect the game's first month to be riddled with bugs. First, no bugs of any sort. Sometimes I'll get frames drop into the 20s or 30s when I've got a lot going on. I've got a 1080 ti and I'm running with everything on ultra. Had one wonky thing happen in a mission but that was largely due to me not doing what it told me to do and I just restored before I messed it up. 'Hey. Bucko. Go hook up some space widgets from this system and go sell them at this station over here. 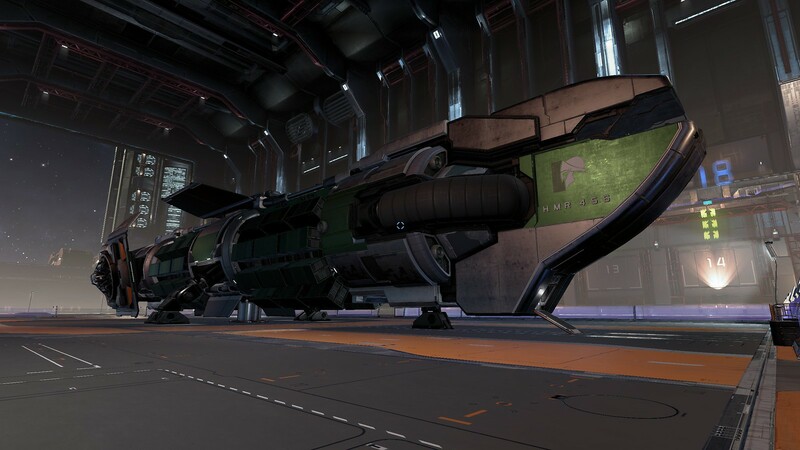 Since that station makes Exploding Super Space Widgets when it's got enough regular space widgets, you just hang tight while they whip those up using what you delivered, buy those and sell them over HERE, cuz that guy? Oh man, he really, really, *really* wants Exploding Super Space Widgets." That's maybe not exactly the menu choices you have to make but close enough. I can buy, fly, control or fight anything from tiny speedy zippy little fighters of various sorts up to massive carriers. Build fleets. Build space stations and take a direct role in the economy. Why buy space widgets when you can mine the resources and build a facility to make your own? Maybe because you don't want to play spreadsheets! Know what? Don't have to. Ever. You can start out in a tiny ship and just shoot, murder, pirate, kill loot and thieve your way into better and better ships and huge piles of space bucks because it's a fookin' sandbox, man. YOU DO YOU. You're an explorer, a fighter, a cunning trader and the kind of person who get♥♥♥♥♥♥done - in fact tons of♥♥♥♥♥♥ all over the galaxy, all at the same time. Because this is the right game for you. While I second most of that, it does have some bugs. For instance, while doing a quest I realized that I needed some navigation satellites - only way to do that was using hyperways and jumpgates to a nearby sector. When I reached the sector of my destination I opened the map ... and found myself back where I started (i.e. at the quest point where I was to position the satellites). Didn't happen again, though. I haven't yet found a way to go through the tutorial texts again - one early mission had them plop up midway through without me realizing that they were there (they're somewhat inobtrusive) and when I noticed them, they were already half through the explanation. And beware of getting on other ships at a station - they will take off with you aboard and literally kidnap you. Small hint: The RightClick=>SetGuidance also works if you know the station in a different sector is there (missions will uncover such information) but don't know yet how to get there (because you haven't discovered the hyperlanes and jumpgates yet). This tool will happily guide you to the needed nav points. Oh, I just saw: "Newtonian physics"? Somewhat true. The NPC ships will do some very strange dances when approaching the dock. I'm also not sure what the point to those wannabe-pirates is. Because you're usually zipping by them at 3 km/s and they stand a snowball's chance in hell of catching up to you. Joystick controls turn off whenever I dock/get out of my chair until I go back into the settings menu and come out again. Guess I'm waiting for a couple more bug fix patches. Saw a ton of reviews and gameplay vids. Itch became too much. And found another bug: A salvage mission required me to find two lockboxes. Found the first within the mission area but the second one was outside this area. Went to the second one which made the mission text revert from "Search the area" to "Go there" and when I collected the second box, the mission never got updated. Had to abort it. Worth the cost to get it on release. I found the PHQ mission through those weird emission / static noise line thingies around a station. Ta. Will look out for those. So you have your HQ built? Is it much use? Do either of you guys use a HOTAS? If so, which? Na. Just a basic joystick. With an analogue throttle. Same one I've used for all X games. Took a while to configure for X4 but works ok. I was pretty sure it wouldn't be possible, but indeed you can't fly from sector to sector by flying to the edge of the sector and crossing the boundary. You can only use gates and superhighways. If you try to fly across the boundary you just sort of bounce off an invisible barrier in space. Which is different to X2/X3. Although you could only go from sector to sector through gates too, in X2/3 the sectors were huge, and am fairly sure there was no invisible boundary limiting the sector size - I never reached a boundary in my months and months of play despite flying way off on a vector for ages to do one mission or another. I noticed that the sectors just grow as I get further out. I haven't tried to see how far yet. How long would it take me to get to the edge? The game isn't crap right out the gate like Rebirth was, but it feels incomplete. I think I might wind up packing it in until there's some mods/expansions/whatever. The game definitely has legs. I've built up a nice little fleet of 10 or so ships, got the PHQ with a few extra modules, explored around 80-90% of the universe, witnessed a couple of epic space battles with Xenon capital ships invading sectors. Started to recall what was so good about the original X games. But yes I've also moved onto something else for the time being till they clean it up a little bit. The autopiloting ruined the sense of immersion somewhat, constantly crashing into everything it could. In a month or two with the bugs cleaned up and a few mods developed it'll be worth a longer stay.